Added on 28 February 2019 . By Olivia Cheves. Taking over from the much-loved Pit, Loop is bringing you everything you need for the ultimate silly night out. Boasting full-size ping pong tables, the bar offers both beer and prosecco pong for all you sporting types, while a selection of retro arcade consoles are on hand to keep the gamers happy too. 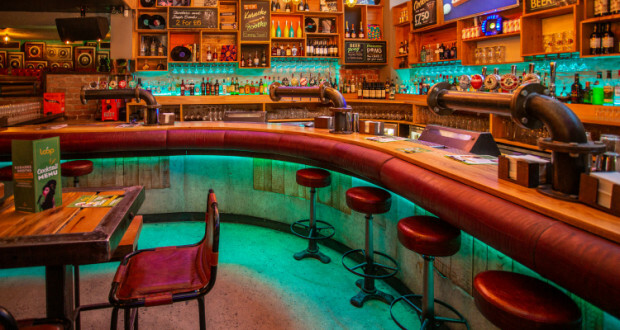 Their budget-friendly bar list offers up a fine range of craft beers alongside a slick line up of classic cocktails and some more adventurous signatures, including the Mic Drop that features rum, amaretto, apple juice, vanilla syrup and ginger beer. The jewel in their crown, however, is their karaoke experience. Their mural-decorated private karaoke booths might just be Leeds' best new party outing, as the venue caters for up to 100 people with food and drink packages included.